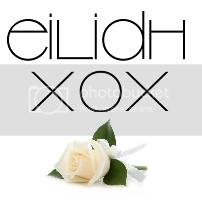 Hello everyone, I'm back! I think that was the quickest week ever and I honestly can't believe it's over already. I definitely have the holiday blues today but I'm also embracing being home by drinking lots of tea and wearing big jumpers and socks. Who'd have known how much I'd miss wearing socks? Anyway, sorry it's been quiet on here for the last week, I only got time to schedule one post before I left and was trying my best to switch off from all blog/social media stuff when I was away - which was harder than I thought, even without mobile data I still found myself constantly refreshing everything! I brought my camera with me, so to make up for the last week I've got a few holiday outfit posts coming up this week.. 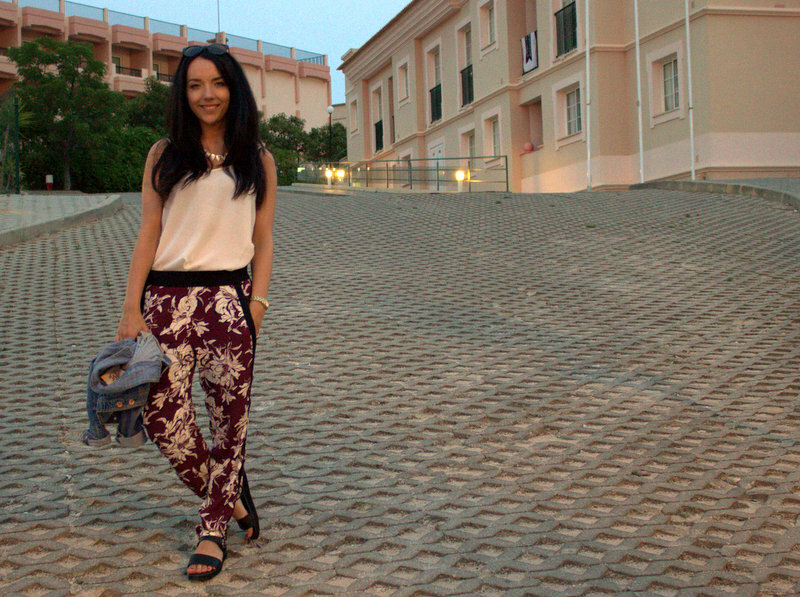 The weather in Portugal at this time of year is warm during the day but quite chilly at night, so I wore these printed trousers quite a lot because they work well for both. The print and colour makes them perfect for holiday too. This cream cami top was a good find - it was only £9.99 from New Look and it's exactly the same as the £18(!) strappy cami's from Topshop. I don't know about you, but I really resent paying that much for something so basic. Well done, New Look (again). One last thing - I've recently jumped on the bandwagon and got myself involved in DEPOP. I've already sold a few things on there and I'll be adding more this week, you can find me under 'maisymeow' if you want to have a look! How would you style these trousers? Have you ever been to Portugal? 14 comments on " Zara Printed Trousers "
Hope you had a lovely hols! You look lovely, I love trousers like these. Need to purchase!! How perfect! They look so comfy. I haven't been to Portugal, but now I wanna go! Looking stunning as always hun, love those trousers! Hope you hd an amazing time in Portugal, it's my favourite place to go. 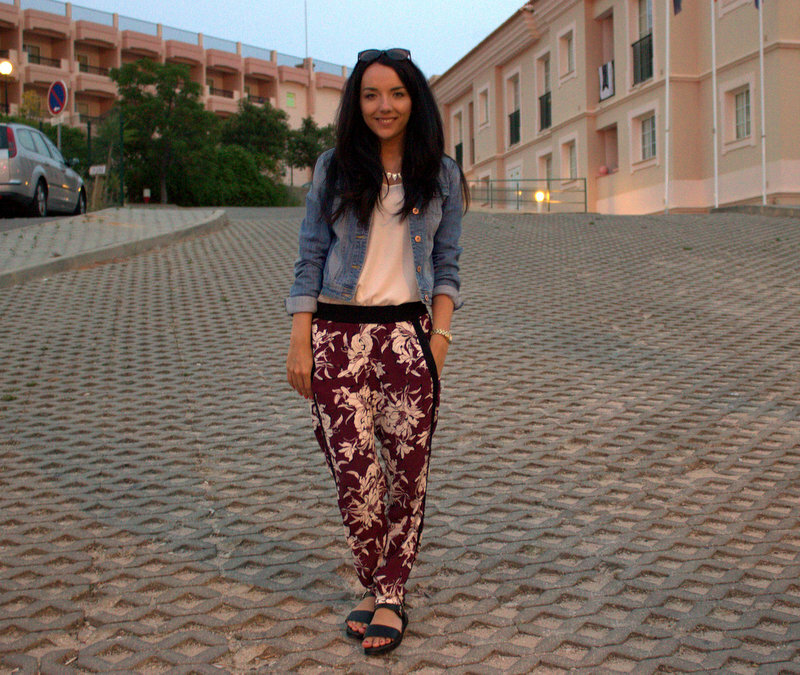 Love those trouser so much! LOVING these trousers :) They definitely suit having just a simple top with them!